As a fangirl and book lover, I've met an infinite amount of characters through literature. These characters have become close friends. They've inspired the kind of person I want to be and the kind of people I want to meet. I'd be lying if I said there weren't characters I fell in love with as a child and daydreamed about marrying someday. Those characters are still important to my life even if I no longer wish they were real for me to marry. Instead, these literary gentlemen have inspired the kind of person I want to marry someday. There is a long list of literary gentlemen that have shaped the qualities I look for in a romantic relationship. Over the next few weeks, I will share various literary gentlemen that have influenced my outlook on romance, love, and what a future spouse should look like for me. 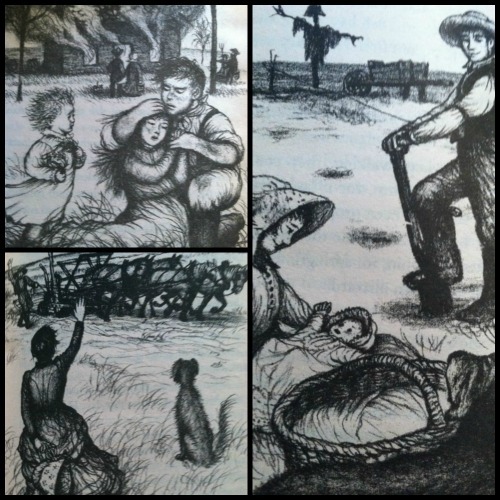 Without fail, the first literary gentleman to come to mind when I think of the thousands I met over the course of my childhood is Almanzo Wilder from The Little House books by Laura Ingalls Wilder. Almanzo has always been so dreamy in my eyes. As a child, the latter books in the series always felt less exciting because Laura was growing up and had to be more responsible. I recently reread the entire series, however, and I found I enjoyed the latter books more this time. I could relate to Laura's struggles with growing up, and I found myself admiring many qualities of Almanzo Wilder's character. 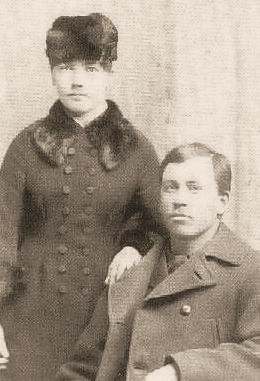 Laura Ingalls and Almanzo Wilder were real people. 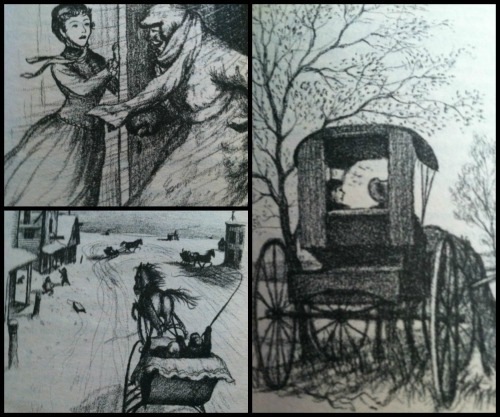 The stories in The Little House books are for the most part real. They existed. This makes Almanzo's character that much more important. This means that the qualities Almanzo showed can be replicated today. There can be a gentleman out there with his strength and bravery and dashing actions. Perhaps a guy won't greet me at the door with beautiful horses and a sleigh, but it's possible the universal qualities that transcend time and place can be discovered in our world today. Almanzo Wilder may not be around today, but it's possible his charm can still exist in someone else. The first time Laura gets a glimpse of Almanzo Wilder is in the fifth book, On the Shores of Silver Lake, which is quite a few years before she even gets to know him. In this book, though, Almanzo already has a good reputation. He's known for having "the finest horses in this whole country" (262). Now this might seem like a superficial quality to have, but Almanzo is also known for how he treats his animals. He never beats them, he takes care of his horses first even if it's storming, and he goes to great lengths to get one of his horses back when she runs off (The Long Winter). Almanzo's reputation goes beyond his care for his animals, though. If he treats his horses with such gentleness, it's not hard to believe he treats people, especially Laura, much the same. Pa Ingalls even said he would "trust him anywhere," after Almanzo asks to walk Laura home from church (Little Town on the Prairie, 280). No one in their town would think Almanzo would do anything to lead Laura on or act without respect and honesty. His reputation goes before him, which gives him good standing in the town. It's a bit odd to me that Almanzo is the first fictional guy I think of when I daydream about romance because sometimes he doesn't seem romantic at all. He's more sensible than romantic. He has a very practical nature. Sure, he might take Laura sleigh riding or secretly buy her an expensive gift to show his affection, but for the most part, the stories don't depict this whirlwind romance that sweeps Laura off her feet. He's more than that. He's practical and sensible; he's realistic. In The Long Winter, Almanzo thinks ahead to the spring instead of focusing on the cold winter. He carefully guards his seed crop so he'll have something to plant and a way to make a living, even if that means he goes with less food. At the same time, he takes chances because "A farmer takes chances. He has to" (258). To keep his seed crop safe, he has to find an alternative to feed the town; he has to take a chance despite the danger. This leads him and another fellow, Cap Garland, to chase down a rumor about wheat. In addition, he's pretty sensible when it comes to his relationship with Laura. He doesn't beat around the bush or lead Laura on. He makes his intentions pretty clear. He never asks other girls to walk them home. He invites Laura to ride in his buggy. While he never outright says his intentions--at least not right away--his actions make it clear what he intends. Later when they are planning to get married, Almanzo is sensible when it comes to wedding plans. His sister and mother decide to plan a big church wedding, but he knows that he can't afford that kind of wedding and that Laura wouldn't want that kind of wedding. So they sensibly make plans to have a wedding dinner (with wedding cake of course), forgo worrying about a pretty wedding dress (Laura wears black! ), and say their vows in front of the Reverend at his home. Laura's wedding might not be the most romantic ever, but it makes sense for them and what they want. 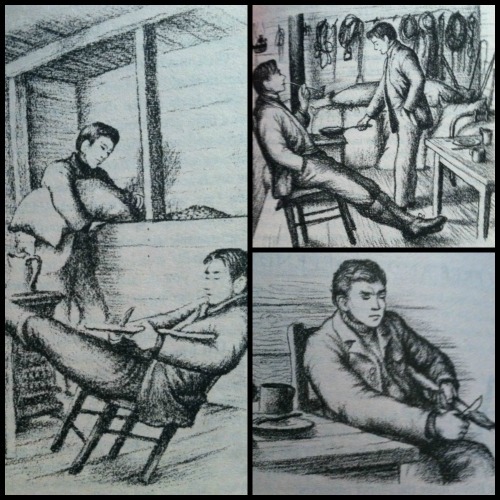 Throughout the books, Almanzo is depicted with great resilience and strength. I assume to survive during this time period one would have to persevere in harsh conditions, but I think Almanzo goes above and beyond that necessity. To put it simply, Almanzo is brave. He travels over forty miles with Cap Garland to feed the town on a rumor of wheat. This kind of action was dangerous as blizzards could billow up without notice and the men could have gotten stuck in the storm. The land was so covered in snow from previous blizzards that sometimes they weren't sure where they were going and were worried their horses or sled could fall into snow drifts. But they still took the chance in order to save the town. Once they find the wheat, they have to bargain for it, but they don't give in. They press until they have the wheat and can head back to town. Almanzo does much more than just protect the town, though. He also protects Laura multiple times. The first time he asks to walk her home, there is a large crowd that presses in around them: "Laura's dread of strangers came over her and the open door ahead seemed a refuge from their eyes." But when Almanzo takes her arm and walks her to the door, he "protected her from being jostled in the crowded entry" (Little Town on the Prairie, 279). His presence helped her from the very beginning of their relationship. Later, when Laura is hired as a schoolteacher in another town, Almanzo comes every weekend--despite the distance of twelve miles and the cold reaching below forty at times--to bring her home for a few days. This action saved Laura from being cooped up with the Brewsters all weekend, since they were not the most pleasant people. Almanzo didn't have to drive her home and back every weekend, but he understood her dread and chose to do so. This kind of action takes courage and bravery, especially when the winter cold made it difficult to travel. One of Almanzo's best qualities is that he is willing to support Laura no matter what. A lot of his actions in the books center around how he interacts with Laura. He trusts her with his horses, even letting her drive them: "You may drive all you want to. It gives my arms a rest too" (These Happy Golden Years, 199). He suggests they attend singing school because he thought Laura would like it; he notices she's always singing. When he drives the sled to pick Laura up from the Brewsters' every weekend, Laura informs him that she's not interested in anything except a way to get home. Almanzo doesn't mope about her refusal of him or get angry. He continues to drive the sled to pick her up and take her back. He allows her the decision to refuse him without pushing her or getting upset that he'd been "friendzoned" or worse... chauffeur-zoned. He's confident that if Laura wanted more, she would let him know. Almanzo would invite Laura to go riding in his buggy with his beautiful horses. One time he arrived with Nellie Olsen! And Laura was rather irritated. When it happened a second time, Laura "accidentally" let the end of the dust robe flutter out of the buggy, which caused the horses to break out into a run. She also told Almanzo she liked riding with him, but she wouldn't do it if Nellie was there too. He listened to her, and they never rode with Nellie again. In truth, he had felt sorry for Nellie and had brought her along out of pity; he hadn't know it would upset Laura so much, so he stopped. He listened to her. He was being a gentleman to all girls, but he wouldn't allow that to let the most important girl get away! Before they get married, Almanzo asks Laura what she wants instead of making the decision for her. He also makes an effort to do what is important, such as travel a great distance to be with her family for Christmas or remember to bring presents for her sisters. He plans a way to provide for Laura when they do get married, and he remembers how much Laura loves horses. When they do get married, Laura asks if he will make her vow to "obey" him because she's worried she can't make a promise she won't keep. Almanzo allows her independence, reassuring her that she won't have to promise to obey him. He never expected her to make such a promise anyways. I don't think outward looks should be a high priority factor when it comes to a relationship. I also know there must be some kind of attractiveness to start with, however, it shouldn't be the basis. Almanzo, as described, seems very dashing. The first time Laura interacts with Almanzo he's lying on top of a haystack with "his chin on his hands and his feet in the air... He had black hair and blue eyes and his face and his arms were sunburned brown" (The Long Winter, 24). After he points Laura and Carrie, Laura's younger sister, toward home, Laura looks up at him and "his blue eyes twinkled down at her as if he had known her for a long time" (24). It's a very swoon-worthy meeting. Most of the time, Almanzo is described as looking cheerful and being confident. He seems like a laid-back kind of guy, which only adds to his charm. 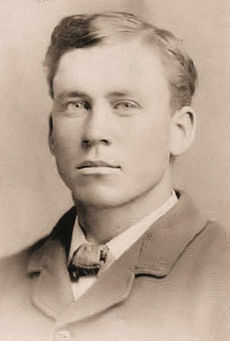 Later, when Laura gets to know him better, Almanzo is described with "dark brown hair, and his eyes were such a dark blue that they did not look pale in his darkly tanned face. He had a steady, dependable, yet light-hearted look" (Little Town on the Prairie, 200). In addition to his dashing looks, he has a pleasant laugh and "seemed to enjoy everything" (Little Town on the Prairie, 295). After they are married, he continues to be cheerful and optimistic for their future despite many of the hardships they faced during their first four years of marriage. His charm also comes from owning the finest horses in the country. This, more than anything, is what catches Laura's eye first. On most of their first interactions, she's so focused on the horses and how beautiful they are, she almost misses Almanzo entirely! And honestly, who can blame her? If I knew someone with the most beautiful horses in the whole country, I'd probably fall in love with him, too. 'I couldn't have one without the other,' Laura answered shakily. 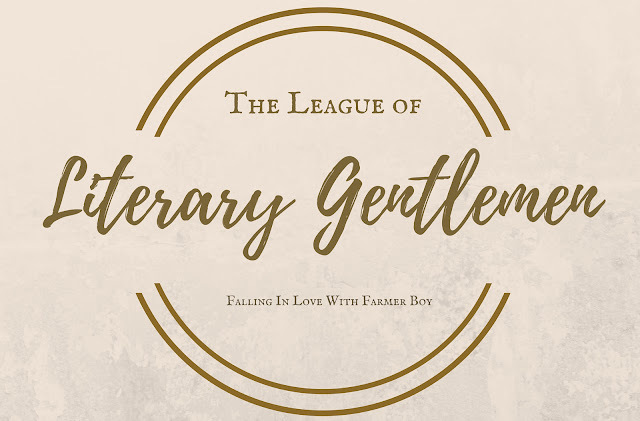 Almanzo Wilder is just one of many literary gentlemen that provide a reasonable, realistic, and respectful example of a worthwhile romance partner. While we may not live on the prairie or ride in sleds and buggies, the qualities Almanzo Wilder possesses are definitely worth keeping in mind for any fangirl's heart. All illustrations and quotes not sourced come from The Little House books by Laura Ingalls Wilder, published by Scholastic Inc.: On the Shores of Silver Lake (1939), The Long Winter (1940), Little Town on the Prairie (1941), These Happy Golden Years (1943), The First Four Years (1971). I haven't read the series, only watched the tv show, but now I'm regretting that! Almanzo sounds like a great character, and I imagine the tv series didn't do him justice. From what I know of the show, I didn't think Laura was ever old enough to meet Almanzo. (I'm probably wrong.) I think there might have been movies or later episodes with him in it, perhaps, and I doubt he was well-developed.